Ordinary people can do hospice well... and they should. Is there a right way to die? When Jack Moore declines the surgery that might save his life, his eleven adult children cancel their lives, pack their bags and descend on Minneapolis, MN. Crowding together in a tiny two-room apartment, they settle in, look around and wonder, "Now what?" 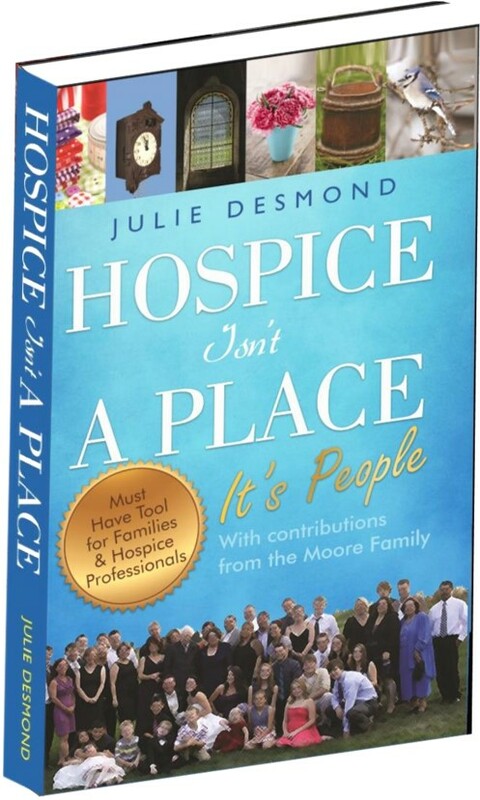 Partly instructional, partly personal, HOSPICE ISN'T A PLACE answers the "Now what?" question and invites the reader to experience one family's hospice story as it unfolds, the way it really is: Intense, uplifting, unnerving and, sometimes, surprising.